Item # 315800 Stash Points: 2,995 (?) This is the number of points you get in The Zumiez Stash for purchasing this item. Stash points are redeemable for exclusive rewards only available to Zumiez Stash members. To redeem your points check out the rewards catalog on thestash.zumiez.com. 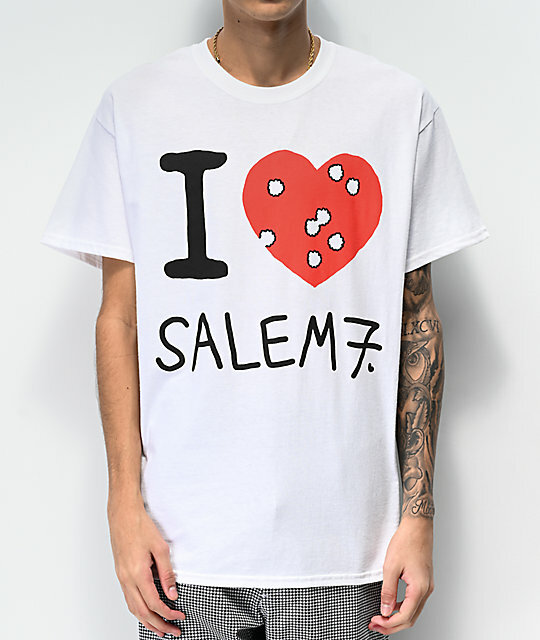 Show off your brand loyalty with a somewhat backhanded shirt with the stylish I Hate Salem 7 White T-Shirt from Salem7. 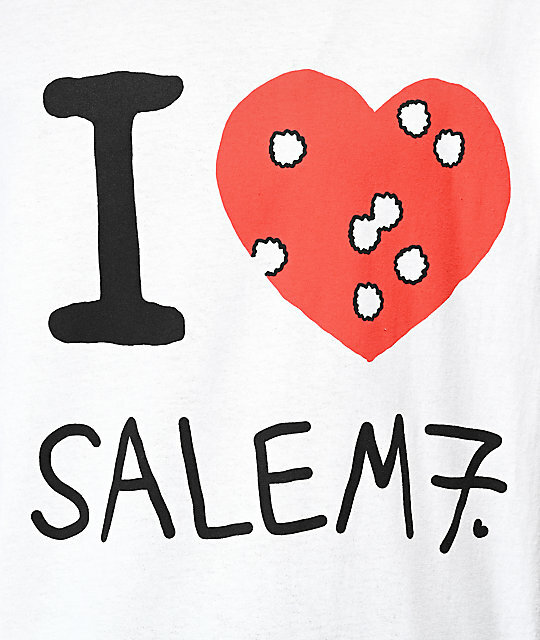 Designed like your favorite t-shirt you snagged in New York, this cotton constructed tee features a large "I love Salem7" graphic in which the "love" is a battered red heart displaying a handful of holes. I Hate Salem7 White T-Shirt from Salem7.